We offer pure aromatherapy grade essential oils, that are suitable for creating home massage blends (diluted in a suitable carrier oil), in the bath or for vaporisation (in an oil burner). They are supplied in generous 10ml sized amber glass bottles to extend their shelf life. 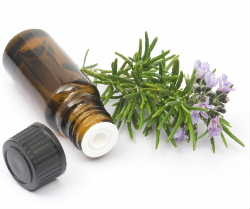 Our prices reflect the varying costs in producing different types of essential oil. Each bottle will be supplied with a leaflet that gives important safety information (including recommended dilutions and contra-indications for each oil), and some practical advice and ideas on how to use essential oils in the home. We will be happy to offer further advice on using essential oils - simply e-mail your queries to: enquiries@naturalsoapworks.co.uk (see our Contact us page). Has a sweet woody aroma, that is sedative and good for joints and dealing with stress. Is also astringent so suits oily skins. Avoid during pregnancy. This organic sweet orange is sweet and, refreshing, and is reputed to have anti-inflamatory and anti-depressant qualities. Is mildly phototoxic, so avoid sun expose for at least 2 hours after skin application. Is refreshing, and has antiseptic, diuretic and astringent qualities. Helpful when treating minor skin disorders, cellulite and poor circulation. Is mildly phototoxic, so do not apply to the skin immediately before exposure to direct sunlight. Has a strong lemony refreshing aroma that is stimulating. Can cause skin sensitisation, so best used as a useful room freshener and insect repellant for home use. Strongly antibacterial and can be used to treat: spots, minor wounds, athletes foot, corns, verrucas and warts. One of the few essential oils that can be applied neat on the skin in emergencies. This eucalyptus variety has a fresh camphorous aroma. Most commonly used to assist respiratory problems, such as colds, catarrh and sinusitis. Also supports muscular aches and pains. A hybrid of lavender, usually used for muscular aches. A cheaper option for vapourising in an oil burner, where a lavender aroma is required. We supply a true French lavender, that is widely regarded as the most versatile essential oil available. Is one of the few essential oils that can be applied neat on the skin in the case of emergencies. It has a reputation for being sedative, but should be used in low dilution when assisting insomnia. It is antiseptic, supports relaxation, muscular aches, headaches and migraine. Can be used to treat minor skin abraisons and burns. Has a sweet, floral aroma (similar to a mild geranium), and is particularly valuable in skincare since it has antiseptic properties. The earthy scent of the 1960's, Patchouli is another very versatile essential oil that is sedative, anti-inflammatory, deodorant, diuretic. It assists troubled skin disorders and is soothing in times of stress. Most people either love or hate patchouli, but it's a lovely essential oil to add to blends (even if you do not like the aroma on its own). Is anti-inflammatory, antiseptic, and expectorant, with a minty aroma. Typically used to support respiratory, circulation and digestive issues. Not recommended in the early stages of pregnancy. Is antiseptic, expectorant, and stimulant. Often used as a inhalation to clear blocked sinuses, but also supports muscular aches and pains. A sweet, floral oil that is anti-depressant, antiseptic, assists with stress and in skincare (acne, scars, sensitive skin conditions). Has a woody, spicy aroma and is useful where a warming effect is needed. Assists circulation, muscular aches and pains, chills and digestive issues. Always use in low concentration. An expensive oil, Chamomile has a sweet, heady aroma and is reputed to be sedative, skin calming, anti-depressant, anti-inflammatory. Suitable for sensitive skin. Intensely sweet aroma that is sometimes described as being euphoric and aphrodisiac. Supports stress and balances the skin, and is of particular benefit to sufferers of high blood pressure. A cooling, refreshing and soothing oil, bergamot is traditionally used for digestive and throat problems. It is antiseptic and deodorising and also supports troubled skin. This is the FCF version of the essential oil, making it safer to use since the bergaptene has been removed (so there's no danger of the photosensitivity usually associated with bergamot). Geranium is a cooling, moisturising and uplifting oil particularly suited to dry or inflamed skin. It is a hormonally balancing essential oil, often used to support PMS and menaupause. Use with care during pregnancy. Another expensive oil with anti-inflammatory, astringent, rejuvenating properties often used for meditation, and to aid relaxation in times of stress. Reputed to assist ageing skin, improve skin tone and wrinkles. Inhalation of frankincense deepens and slows the action of breathing, so can be helpful for asthma sufferers or during panic attacks.